Strong but flexible consistency model, allowing you to choose consistency requirements on a per-request basis, including the option for strict serialized consistency. High availability. Tablet Servers and Master use the Raft Consensus Algorithm, which ensures availability even if f nodes failing, given 2f+1 nodes in the cluster. Reads can be serviced by read-only follower tablets, even in the event of a leader tablet failure. The Raft consensus algorithm provides a way to elect a leader for a distributed cluster from a pool of potential leaders, or candidates. Other cluster members are followers, who are not candidates or leaders, but always look to the current leader for consensus. 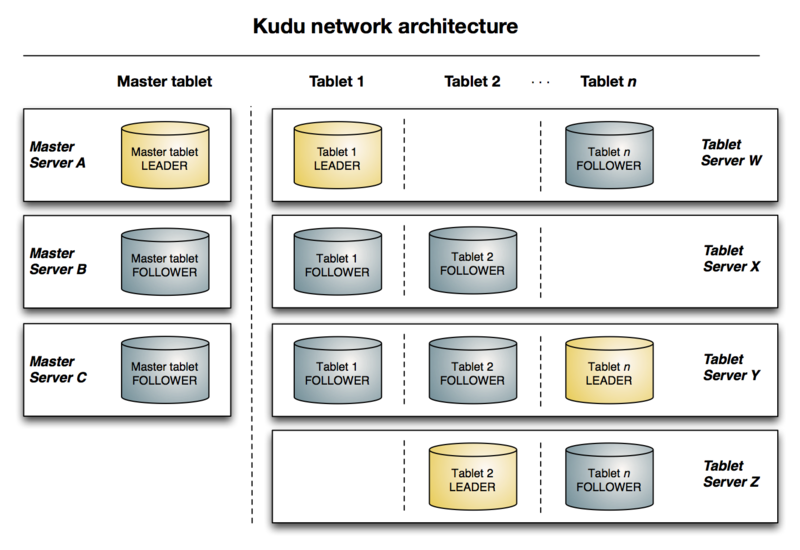 Kudu uses the Raft Consensus Algorithm for the election of masters and leader tablets, as well as determining the success or failure of a given write operation.